I used to work at an office and during lunch breaks we had to walk a good amount of distance to reach the nearest lunch place. After a few weeks, I started bringing my own lunch just because it is more convenient. 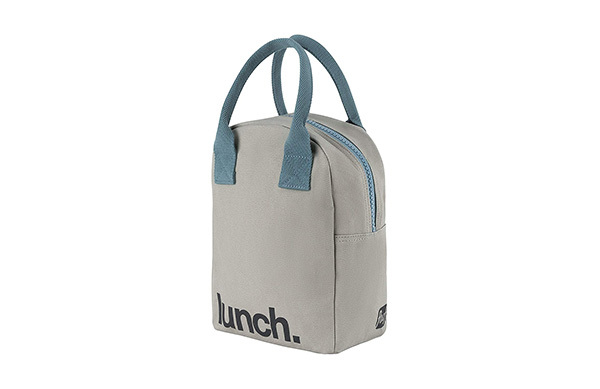 Being a person who always thinks about design (which is also required in my work), it had me thinking about getting a nicely designed minimalist lunch bag. So I did some looking around, and curated a list of the 10 best minimalist lunch bags or lunch boxes you can bring to your office, picnics or even travel adventures. 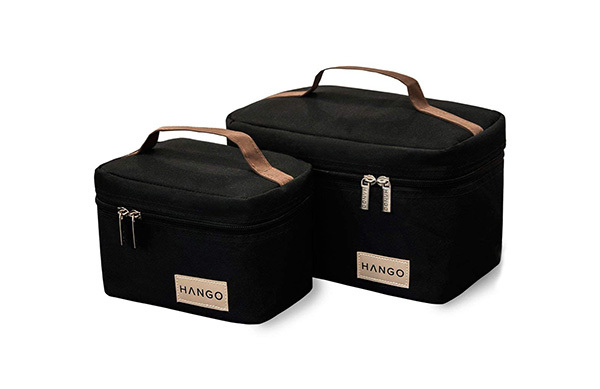 The lunch box by Hango has a beautiful modern and minimalist design. I love the basic yet sophisticated overall shape. The nice brown handle is also elegantly made. In terms of construction. 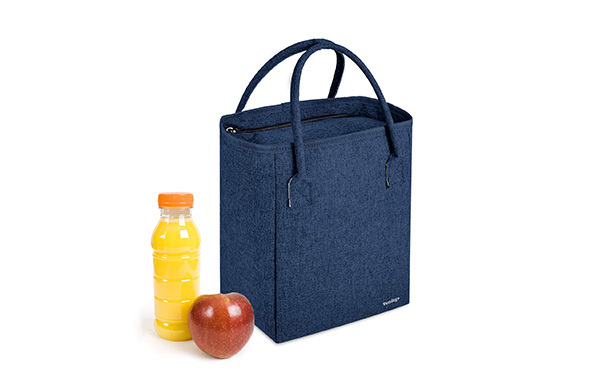 The main material of the lunch bag is high density polyester 300D which is durable and can handle most situations while the zipper is made of stainless steel. The bag is also thermal insulated which can keep your food or drinks at an ideal temperature for a good amount of time. The bag comes in a set of 2. A big one and a smaller one, which can be convenient for different occasions. This lunch bag by Fluf has a cool design which resembles a paper lunch bag. However, it is made of organic cotton. I love how simple and minimal it looks and the nice “grub” font in Helvetica. The cotton is made of 100% organic material which was tested and has food-safe lining which are free from potentially dangerous chemicals such as phthalate, BPA and lead. The text is printed with low-impact dyes which are free from AZO. 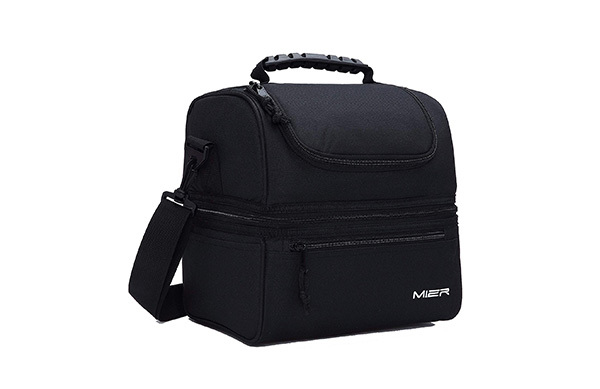 This lunch box by MIER is very modern and sleek in design. I love how it almost looks like a camera bag. The nice material gives it that polished and elegant look which makes it look more expensive than it is. In terms of built, the strap handle is made of soft PU material. The interior has insulated PEVA lining which is Eco-friendly and safe for storing food. 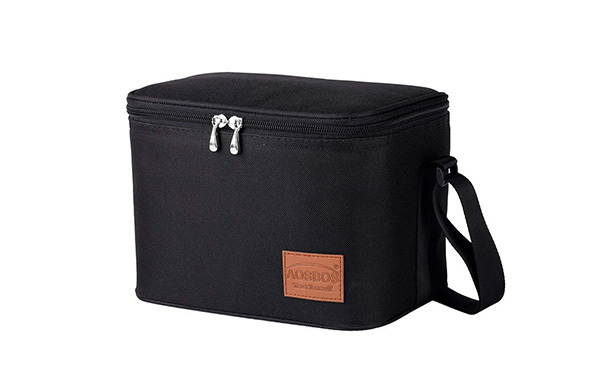 Conveniently, the bag has two separate compartments which you can use to store hot food in one and cold food in another. The shoulder strap is detachable for convenience when carrying. Also, there is a front zipper pocket which can be convenient to store small things like utensils, keys, cards or other similarly sized things. I love the simple, almost cube-like design of this lunch bag by Aosbos. It looks elegant yet minimal. The simple zipper and strap design also looks great in my opinion. The interior is very well made. It has 5 extra layers of food protection, which includes a heavy-duty Nylon Polyester material that prevents the bag from scratches and abuse, a 4mm aluminum clad laminated expandable polyethylene (EPE) layer which helps keep your food or drinks at an optimal temperature for hours and a double-PVC fabric which is really durable and easy to clean in case of mess. The strap is adjustable based on your preferences. You can modify the carrying style as a handbag or a shoulder bag. 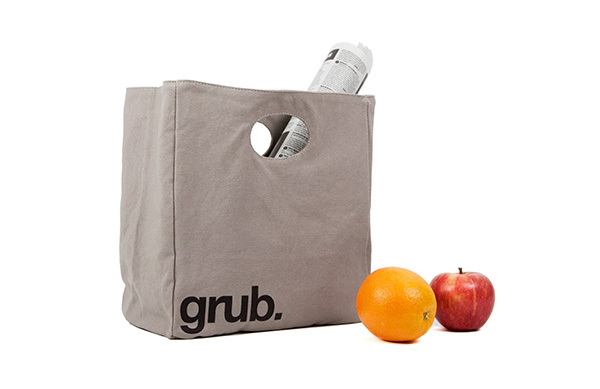 If you’re looking for a nice minimalist lunch tote bag, then look no further. This beautifully designed lunch tote bag by BUILT is one of my favorites and also one of the most popular on Amazon. The simple black design gives it a minimalist yet sophisticated look. It does however come in many other different colors and patterns. The bag uses neoprene insulating material which can keep the food or drinks cold (or warm) for long periods of time. The neoprene material also allows the lunch bag to expand and stretch while keeping the containers inside sit upright. Not to mention, the bag is BPA-free, vinyl-free and PVC-free and has been tested for lead safety. In terms of built, the tote bag is extremely durable. It is stain, tear, and water resistant while also being light in weight. Furthermore, the soft grip neoprene handles is comfortable for your fingers to carry. 6. 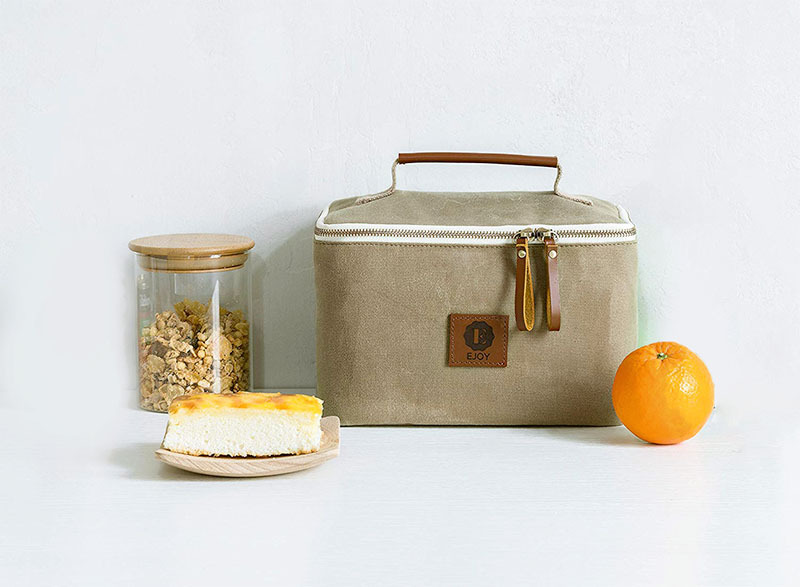 Canvas Style Lunch Bag by COLONY CO. 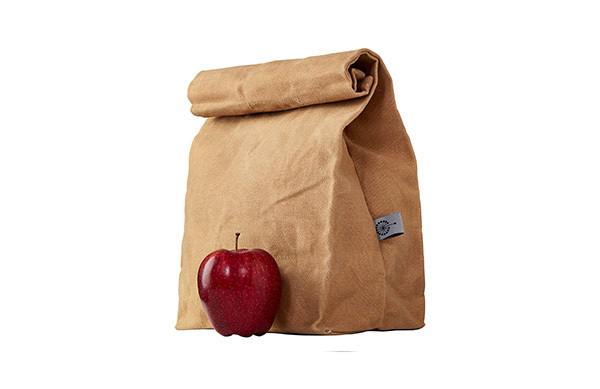 I love this paper bag style lunch bag by COLONY CO. It looks really cool and interesting. I also love the fact that the bag does not use a zipper, which makes it easy to access. It also comes in 2 other beautiful colors; grey and blue. 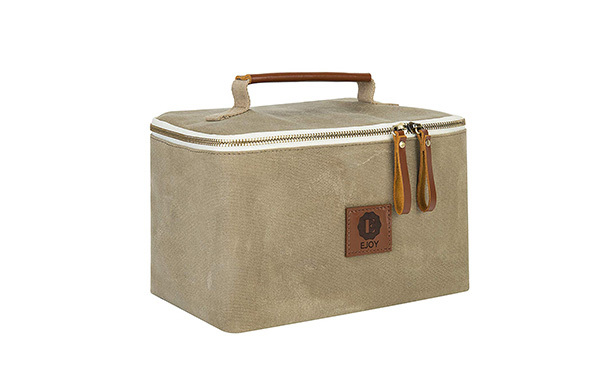 The lunch bag is made of heavy-duty waxed canvas which is very durable and stain resistant. The bag is also very easy to clean. Moreover, the bag has high quality stitching and seam work which adds to the durability and makes it long lasting. The bag is free of synthetic or plastic materials and is biodegradable which is great for the environment. Other than that, it is also free from any animal-based materials. This is another lunch bag with an interesting minimalist design. This lunch bag by Fluf looks almost like a school bag. I also love the simple “lunch.” text which I think adds some nice character to the bag. The bag is also very suitable for daily use. It is reusable and durable. 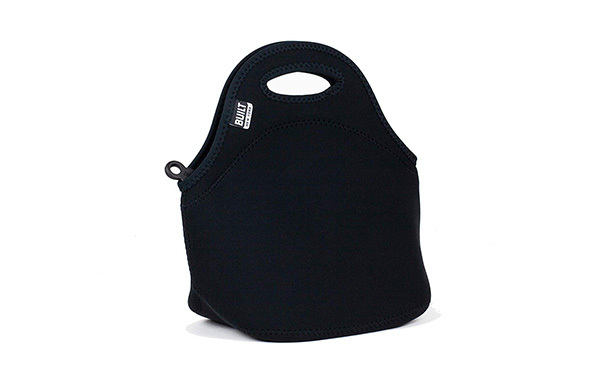 The bag has a water-resistant lining which is great for carrying drinks or wet food. The bag is also fully machine washable which makes it very easy to clean. The lunch bag’s exterior is made of organic cotton material and is printed with water-based inks which are AZO-free. Furthermore, the lunch bag is tested and certified to be free from BPA, phthalates and heavy metals. 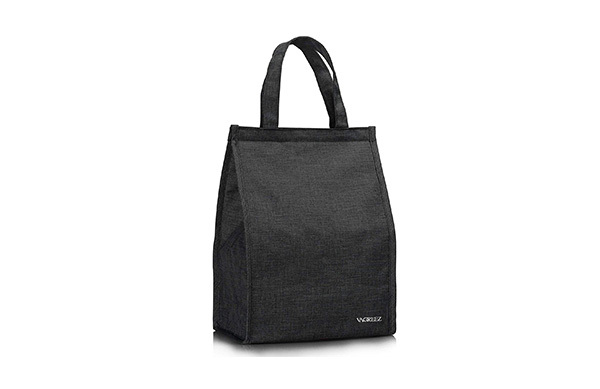 This lunch bag by Vemingo comes in 3 colors; blue, black and grey. 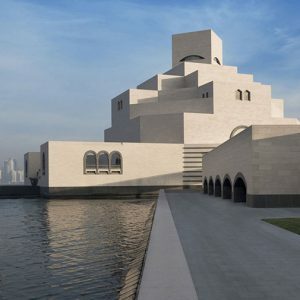 It has a basic minimalist yet lovely design. The bag is made of cationic fabric for the exterior, while the interior is made of 5mm thickened EPE foam and aluminum foil which can keep the food or drinks warm or cool for a long time. The materials are also non-toxic, free from BPA and safe for food. The bag is also tear-resistant, wear-resistant, water-resistant, leak-proof and dirt-proof. The bag has double handles which makes it convenient to carry and also a 2-way dual zipper closure design which makes it easy to access and close. 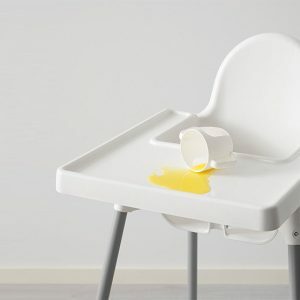 Safe for food; non-toxic, BPA-free. This is another gorgeously designed lunch bag. 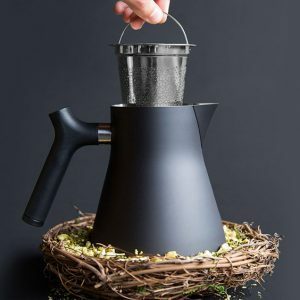 The exterior utilizes waterproof cationic fabric material, the middle material is made of pearl cotton, while the interior is made of aluminum foil which gives great insulation to keep food warm or cold. The construction of the bag is durable and strong. It has no smell, wear-resistant, tear-resistant, waterproof and dirt proof. 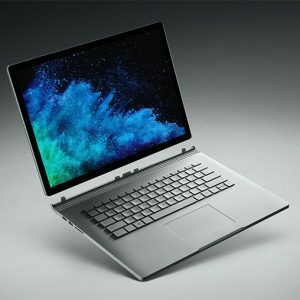 It is also easy to clean and very lightweight. The bag also comes in a beautiful grey color. This lunch bag by EJOY is one of my favorites on this list. I just love the overall minimal and sophisticated look of the bag. The waxed canvas material gives a very cosy vibe, while the leather handle adds a beautiful natural accent to the bag. The bag is made of 100% recycled waxed canvas which makes it eco-friendly. The bag is also water-resistant which makes it easy to clean and stain-resistant. I love the khaki brown color. It just looks natural and homey. It also comes in other beautiful color options such as dark green, navy blue, and starry blue. Hopefully, with the right minimalist lunch bag, it can make your lunch time better and much more fun. 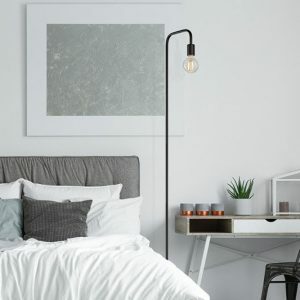 If you love this list, do subscribe to our email list to stay updated on more cool minimalist design things in the future!